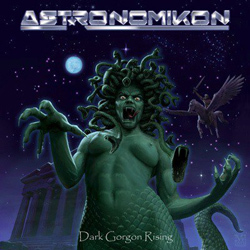 Cypriot band ASTRONOMIKON consists of vocalist Nocholas Leptos, guitarist Socratis Leptos, bass player Paris Lambrou and drummer Stefan Dittrich. They have been around in this band since 2008, and released their fists demo in 2010. The info sheet talks of a familiar touch of CRIMSON GLORY and hails them as one of the best ever from Cyprus. That doesn´t seem too much of a promise, but we better find out.